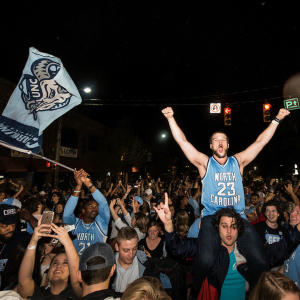 Late March means two things: the North Carolina Tar Heels men’s basketball team making a run in the NCAA Tournament and the UNC Office of Undergraduate Admissions making its regular deadline admissions decisions. 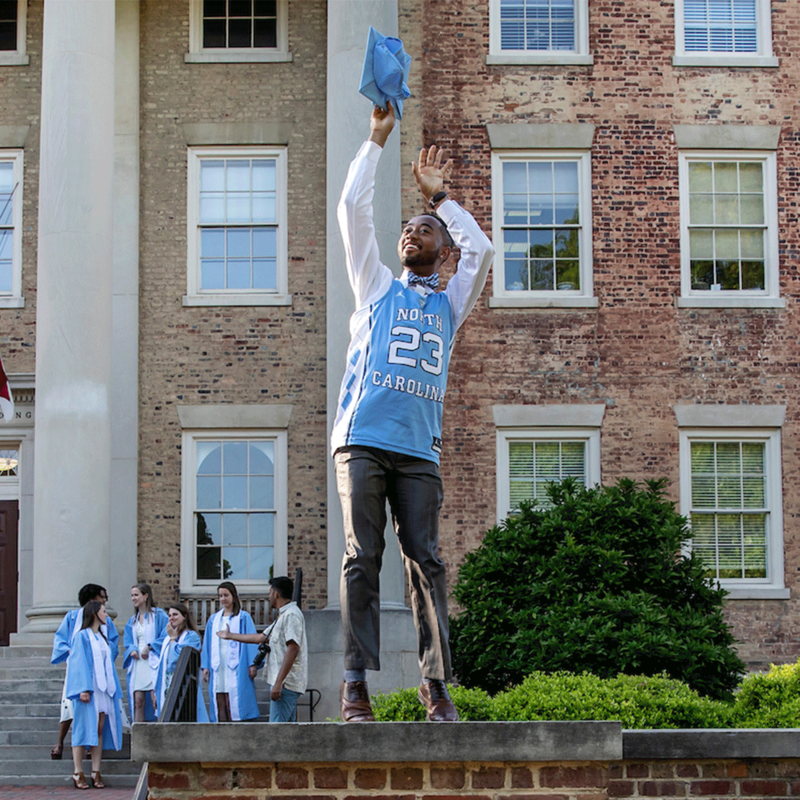 Thousands of high school seniors recently found out they were accepted to join the Carolina family as #UNC23 Tar Heels, joining thousands more who were admitted during the early decision period in January. 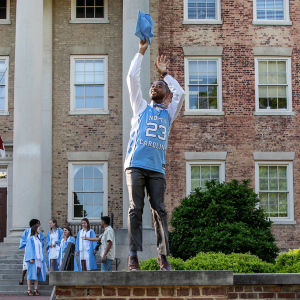 Since 23 is a pretty famous number around here, Carolina Social Influencer and UNC-Chapel Hill sophomore Nicholas Batman shared his 23 reasons why coming to Carolina is the best decision #UNC23ers will ever make. 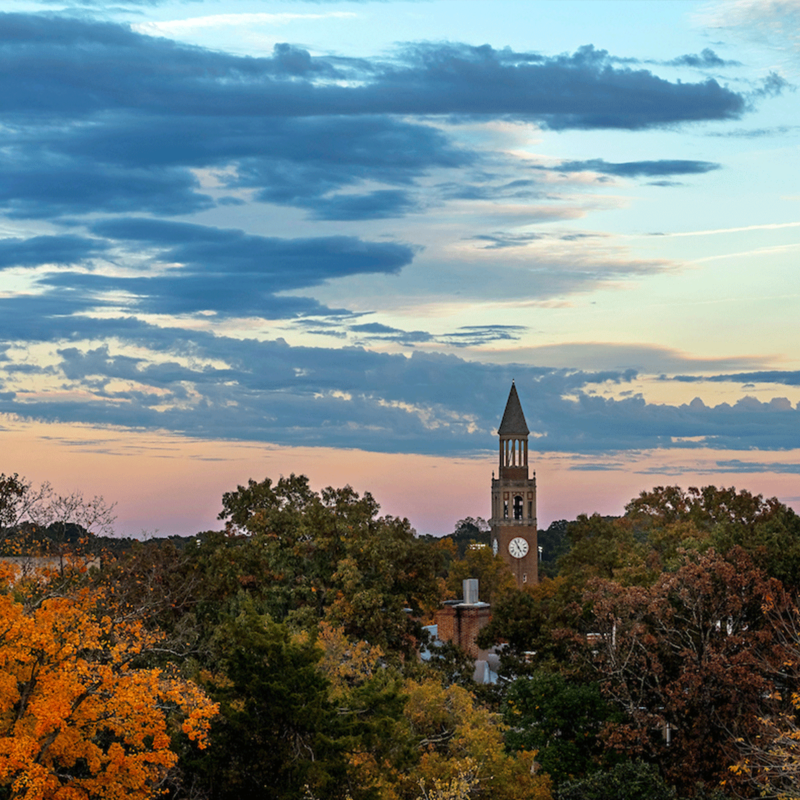 Carolina is the nation’s oldest public university. With a history that spans 225 years, you’ll be joining a tradition of excellence. …than to be in Carolina in the morning! North Carolina is home to beautiful mountains, poppin’ beaches and dope cities. You can find everything you could ever want or need in this wonderful state. Not to mention, we get all four seasons in one week. Think of your outfit diversity! We’re kind of a big deal. 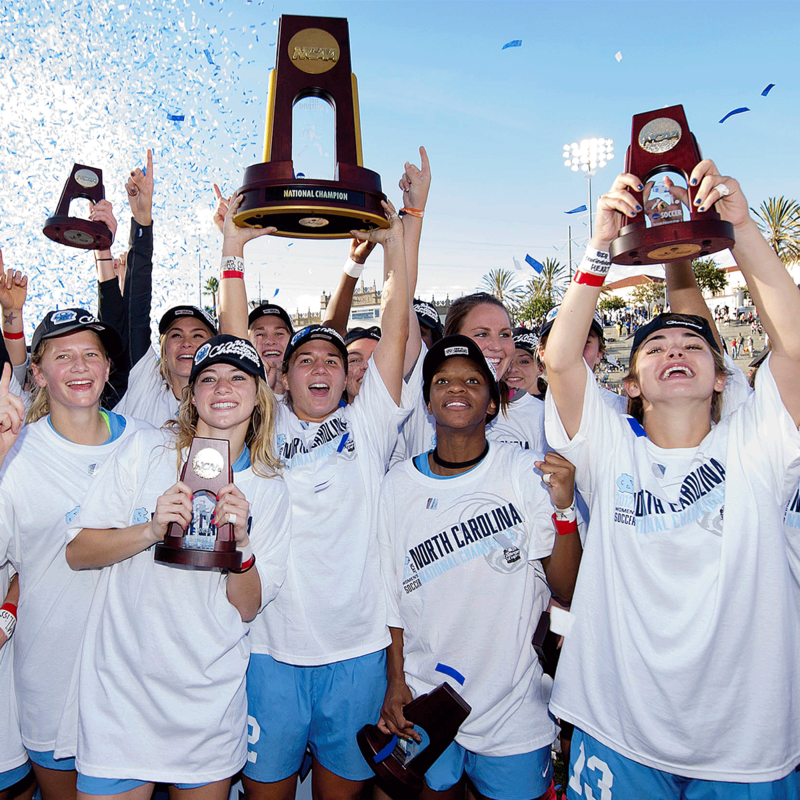 From women’s soccer to field hockey to basketball, Carolina has some of the most storied sports teams in NCAA history. And you are joining the legacy as we march toward victory under some of the greatest coaches ever! The walk from Hinton James (aka “Hojo”) to the Pit is almost a mile. You’ll be making that trek at LEAST twice a day. Over the course of four years, you’ll never need a leg day again. Don’t worry though, we’ve got a free bus system that’ll take you anywhere on campus or around Chapel Hill and Carrboro! There are endless opportunities at Carolina to create! 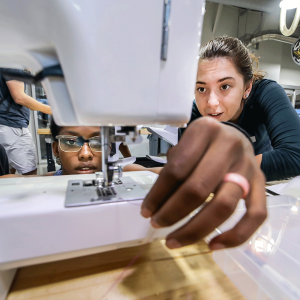 From the Be a Maker makerspaces to Morrison Art Studio, Tar Heels don’t have to look far to get crafty. Interested in learning more about laser cutting, 3D-printing or painting? There’s a studio for that. 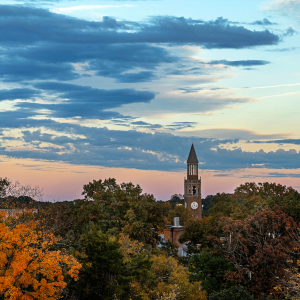 Chapel Hill is located in the middle of the ever-growing Research Triangle, which is comprised of Durham, Raleigh and Chapel Hill. The Triangle is home to a vast amount of STEM corporations and startups, and is heralded as one of the country’s growing hubs for innovation and development. Our placement creates a huge catalog of internships and jobs nearby. Honestly, there isn’t a single person on the planet who couldn’t rock our Carolina blue. 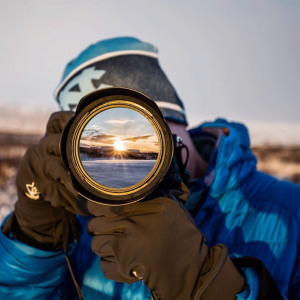 If you like the sky, you’ll love our gear. Carolina blue is the best blue. As one of the best research universities in the world, Carolina is a candy shop for student research opportunities. Professors in every department are constantly looking for research assistants to help innovate, discover and explore new boundaries of human knowledge! 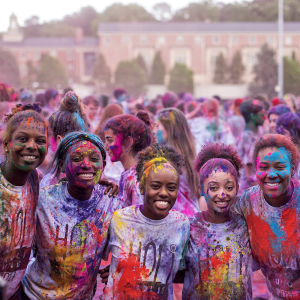 Carolina offers seemingly endless opportunities to travel the world and study anything you want. Diplomacy and literature in London? You got it. Biology in the Galapagos? Sure. Social justice in Johannesburg? Definitely. 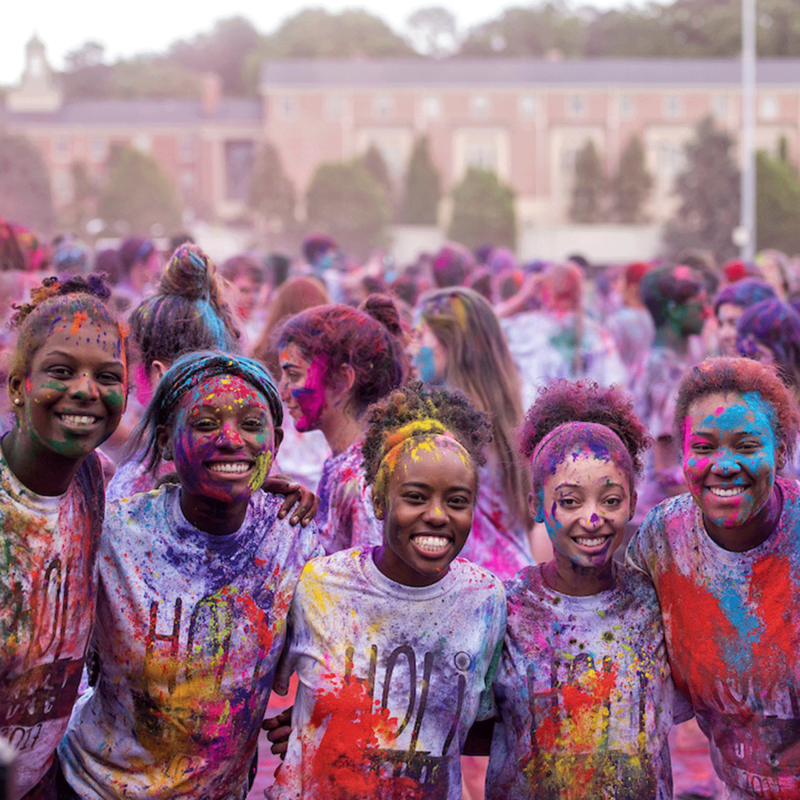 Through the UNC Study Abroad Office, the Campus Y and numerous other opportunities in between, you can expand your cultural horizons and see what the world has to offer. Carolina professors and teaching assistants will drive, motivate and inspire you as you venture into all sorts of academic pursuits. Definitely take advantage of office hours and learning as much as you possibly can from your favorite professors. The musical talent at Carolina is truly unrivaled. 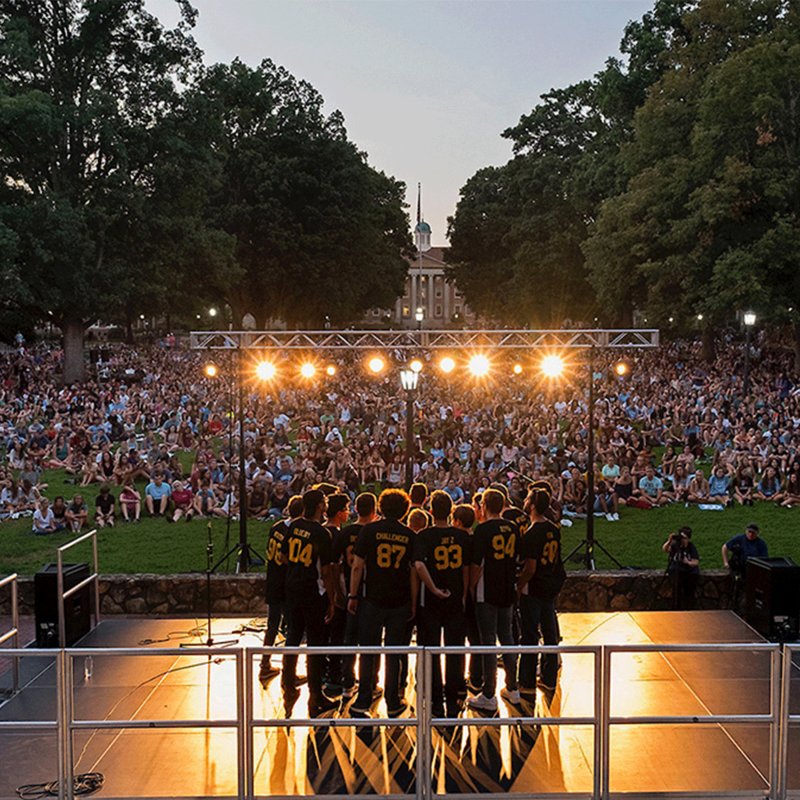 You’ll get used to seeing a cappella groups such as Tar Heel Voices, Harmonyx or Psalm 100 perform in the Pit during audition week! Additionally, the ensembles out of the music department put on concerts almost weekly that are generally amazing. 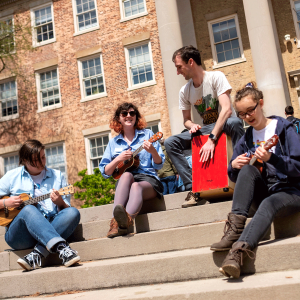 If that isn’t enough music for you, you can join Carolina Jams and get connected to musicians, events and open-mics happening all through campus. You just woke up from a great nap after having three back-to-back classes. You look at the clock. Oh NO! It’s 9:15 p.m., Chase Dining Hall isn’t serving dinner anymore … BUT WAIT! Everything’s fine, because Late Night at Chase runs until midnight, and life is happy again. Whenever we (inevitably) crush that other blue school down the road or we win a national championship, we ALL rush Franklin Street and celebrate. No matter what you’re doing, once that final buzzer sounds you are OUT. THE DOOR. and running as fast as your legs and lungs and heart will allow. Don’t question it, it’s a great tradition. Just enjoy it and don’t hurt yourself! 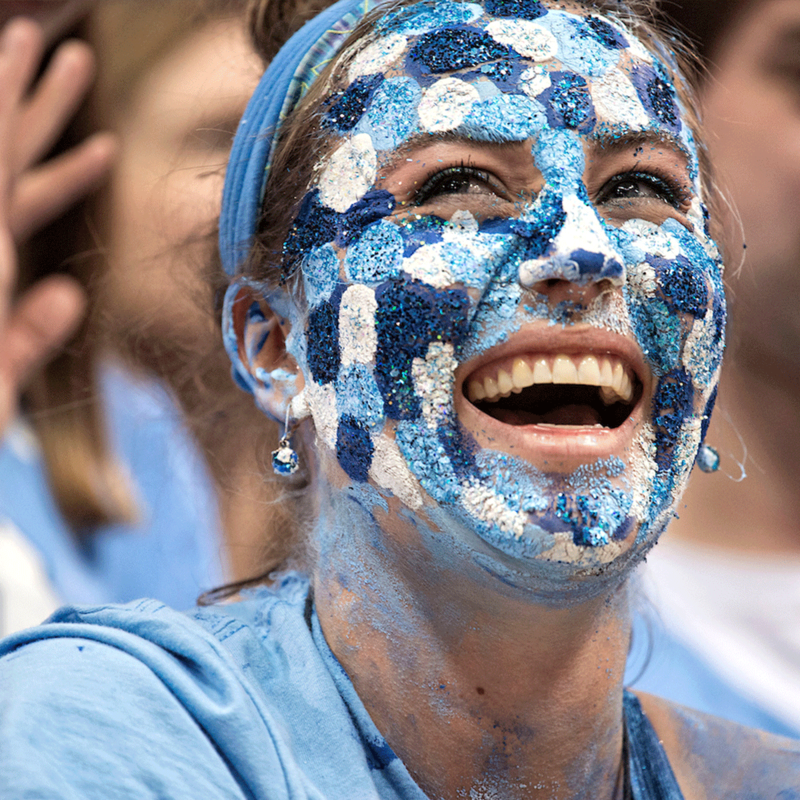 Nothing matches the Carolina spirit. People are proud to be Tar Heels, and that pride creates a network that stretches across the globe! The Tar Heel spirit invigorates you, empowers you and you’ll feel it every single time someone yells “TAR” and you find yourself shouting back “HEELS” before you know it. The friends you make at Carolina will become some of the closest friends you will make in your entire life. You’ll meet the greatest people in the most unexpected places and you’ll be inseparable. It’ll be great. One of the best things about Carolina is the multitude of opportunities it gives you to grow. You’re on your own for the first time — so embrace it! There are countless new experiences and perspectives you can immerse yourself in, and in these next four years you will be inspired by the people around you and change for the better. Bet. 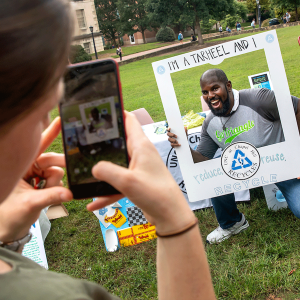 Carolina offers many avenues for students to engage in social awareness and activism. You’ll find students with an array of beliefs promoting what they believe in, engaging in civil debate and getting involved in their socio-political passions. UNC provides a lot of resources to support you and build you up as you start your college career. The Writing Center, the Learning Center and the Academic Advising Program are amazing services offered by the University to put you on track to succeed in all your classes and excel in whatever course of study you choose! They give you strategies, build your schedule and develop your study habits to make you a stronger student. Most of us regret not using them more! So use them! Franklin Street is a treasure. With a ridiculous number of excellent restaurants ranging from quick bites to fine dining, Franklin has everything a foodie could want. Med Deli, IP3, YoPo, Hibachi and Cosmic Cantina are a few staples you should start with. Franklin Street also has the Varsity Theater, a bunch of great coffee shops for studying and a Target for stocking up on all the essentials. We have 800 amazing campus organizations that span every possible interest group. From quidditch to Bhangra Elite to the Carolina Beekeeping Club, you’re sure to find your place (or several) on campus. And if SOMEHOW you don’t find the type of club you’re interested in during FallFest, you can always start your own! If you walk down Franklin Street for 15 minutes you’ll run right into Carrboro. The town is made up of quirky coffee shops, great restaurants, an organic supermarket and The Cat’s Cradle — one of the area’s most famous music venues. Carrboro is a great place to spend a day away from campus and relax with an oversized mug of fair-trade coffee. From President James K. Polk to His Airness Michael Jordan, Carolina alums have changed the world since our doors opened in 1793. You’re about to join a family of greatness. How will you leave your heel print?